Islands have always been fascinating places, their separateness evoking a sense of mystery and inspiring a yearning for exploration. California's islands are unique evolutionary laboratories, places where plants and animals have grown and interacted in isolation for millions of years. 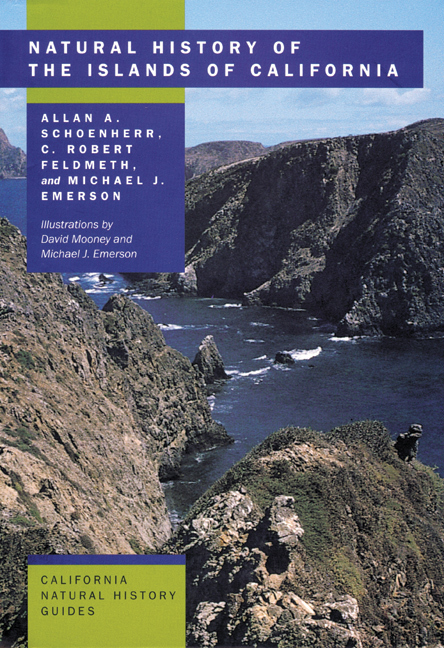 This comprehensive book discusses both the human and the natural history of the islands of California, including all eight Channel Islands, Año Nuevo, the Farallons, and the islands of San Francisco Bay. It is also useful as a field guide for visitors, and details on reaching the islands are contained in the first chapter. The authors explore the formation of the islands; discuss the history of human habitation, beginning with the Native Americans who first visited the islands 12,000 years ago; and provide a thorough introduction to the marine and terrestrial biotas of the islands. The authors also discuss past damage and ongoing threats to island ecosystems, including devastation caused by the introduction of non-native animals and plants. Large herbivorous animals in particular have caused considerable damage, since island plants evolved in the absence of herbivores and therefore have no defenses against them. At present all of California's islands are managed by conservancies and public agencies such as the National Park Service and State Park system, and various environmental organizations are working with them to return the islands to their original condition. Allan A. Schoenherr is Professor of Ecology at Fullerton College and author of A Natural History of California (California, 1992). C. Robert Feldmeth was Professor of Biology at The Claremont Colleges until his death in 1994. Michael J. Emerson (1954-1989) studied with Robert Feldmeth and wrote his master's thesis on the Channel Islands. David Mooney is a San Diego artist specializing in wildlife art and illustration.